On average, sedentary behavior accounted for 77 percent of the participants’ waking hours, equivalent to more than 12 hours per day. Over a median follow-up period of four years, 340 of the participants died. Mortality risk was calculated for those with various amounts of total sedentary time and various sedentary patterns. Those with the greatest amount of sedentary time–more than 13 hours per day–and who frequently had sedentary bouts of at least 60 to 90 consecutive minutes had a nearly two-fold increase in death risk compared with those who had the least total sedentary time and the shortest sedentary bouts. The researchers also found that participants who kept most of their sitting bouts to less than 30 minutes had the lowest risk of death. “So if you have a job or lifestyle where you have to sit for prolonged periods of time, we suggest taking a movement break every half hour. This one behavior change could reduce your risk of death, although we don’t yet know precisely how much activity is optimal,” Dr. Diaz said. 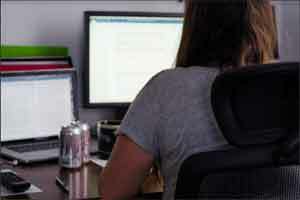 “This study adds to the growing literature on how dangerous long periods of sitting are for our health, and underscores a growing awareness among clinicians and researchers that sitting really is the new smoking,” said study co-author Monika Safford, MD, chief of the Division of General Internal Medicine and the John J. Kuiper Professor at Weill Cornell Medicine, and an internist at NewYork-Presbyterian/Weill Cornell Medical Center. “We need creative ways to ensure that we not only cut back on the total amount we sit, but also increase regular interruptions to sitting with bursts of activity.” Dr. Safford is the PI on one of the REGARDS ancillary studies and provided the cardiac events data for this paper.